Help LEA track ice-out on your lake. Spring is here, and soon the snow and ice covering our lakes will melt once again. If you are a keen lake observer, you can help LEA by recording the date of ice-out on your lake. Send your observation to us by emailing ben@mainelakes.org. Be sure to include your name, lake, the date of ice out, and any notes you want to share. There are several organizations that collect ice-out data from around the state. LEA collects and shares data from our service area with the Lake Stewards of Maine (formerly VLMP) and the Maine DACF. Keeping a record of ice-out dates is important for understanding lake water quality in an individual year as well as over time. 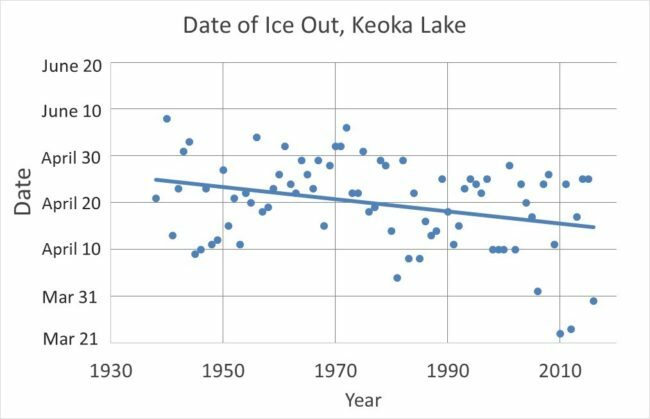 The trend in ice-out dates shows that they’re getting earlier over time, as this graph from Keoka Lake shows. Ice-out on Keoka Lake now happens 10 days earlier, on average, than it did 78 years ago. 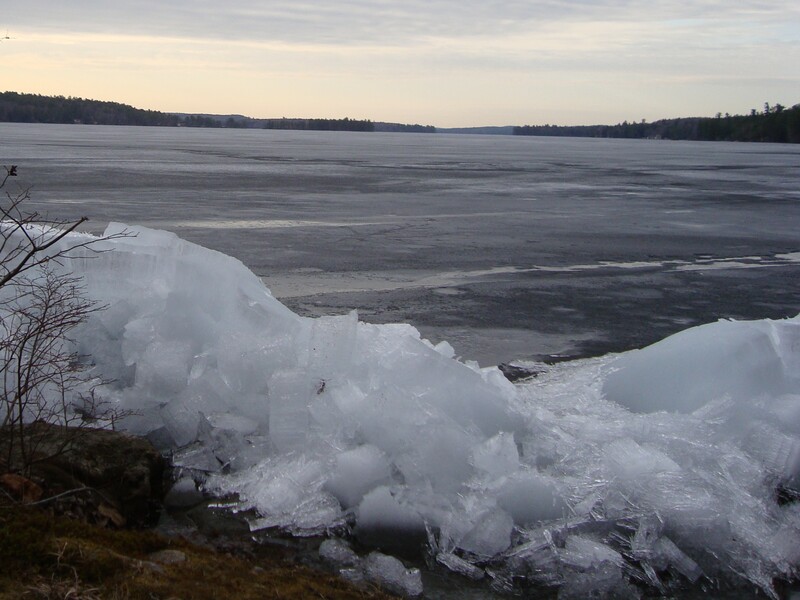 Early ice-out paves the way for a longer period of stratification in the summer, which can increase the magnitude of oxygen depletion occurring at the bottom of a lake. This loss of oxygen may lead to fish kills, internal phosphorus release, and algae blooms – all bad news for our lakes.